Cars and lot's of fast cars. When you are upgrading the speaker then go with Focal, blam, etc. than these entry level stuff with just a bit of more money. https://www.crutchfield.com has solid information and pricing to make you confuse more. Looks nice, I'll join you guys. They are good, but expensive by at least 20% market price. 3 Key factors for assigning next car budget in Dubai and UAEAs everything in life revolves around money, so deciding the fixed budget for your car buy is the number one thing that you should be doing.  It’s not only to let you stay in control, but making the rest of the process streamline based on the available budget be it 10,000 or 5 Million. You need to decide the cash amount in hand as a buying kitty and then decide on how big you want to invest or rather spend. Off course I said as big because you don’t buy car everyday unless you are a dealer and hence increasing the budget has its own advantage to get you the most perfect car you need and will enjoy for the next few years. So allocate generously but definitely within your affordability parameters. People who want to take the buying kitty as a down payment only, need to also decide on how big car loan they can comfortably afford as an initial spend and for every month car loan EMI. 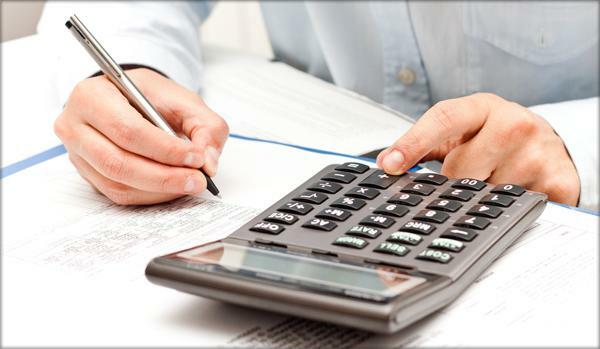 If you are a cash buyer, then planning is lot easier in assigning the next car buying budget is equals to whatever you saved or whatever you can afford to spend for certain number of years after the residual value of car resale value. Example: You saved 100,000 for your next car buy and plan to drive the car for 5 years. Assuming your car resale value after five years will be 40,000 (4 Most important factors impacting used car price). So if you can afford comfortably spending the 100,000 – 40,000 = 60,000 over 5 years means 12,000 per year = 1,000 per month then go for it. Remember this amount is without Car maintenance, Car Insurance, Fuel cost, registration, Salik etc. 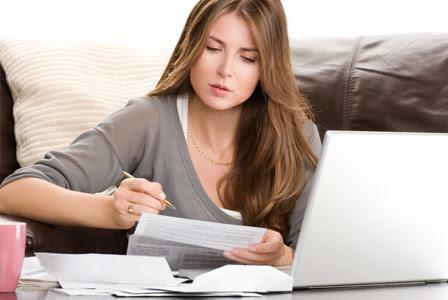 This section is bit more complex for the car buyer who is planning to take up a car loan. As he still need to consider the above depreciation affordability and also find viability for the monthly payments. 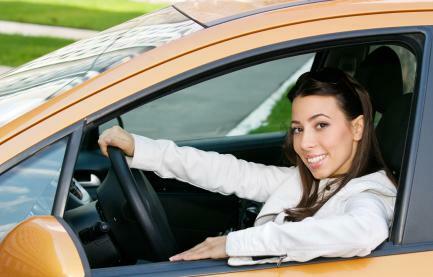 As most bank loan offer up to 80% of car value, so you should be ready with 20% cash as a down-payment. For the remaining payment EMI as a general rule of thumb, you should not exceed the below percentage of your gross monthly income depending on where you fit yourself: For an average joe, for who Car is just an absolute necessity: 10% - 15%Car enthusiast’s, who love Cars and want to enjoy to the max: 15% - 25%Car Maniac, who is crazy about Cars and can’t live without it: 25% - 40%Below are the 3 key factors that you must be aware of and able to factor them while allocating an appropriate car buying budget: Insurance: 4-5% of car value generally for all cars and all drivers5-7% of car value for sports or high performance car or new driver7-10% of car value for sports or high performance car and new driverCar Registration, Plate Number, Salik etc: 500-600 AED Annual Maintenance: Approx. 3-5% of car value for Japanese, Korean and American Cars within 5 years of age.Approx. 5-7% of car value for Japanese, Korean and American Cars after 5 years of age.Approx. 7-10% of car value for European and UK Cars within 5 years of age.Approx. 10-12% of car value for European and UK Cars after 5 years of age. Disclaimer: I have written this and all linked articles to help my friends and family and other car enthusiast’s like you. This is purely based on my own experience. If you know anything more than this I am happy to edit these articles any time. Please leave me a comment and I will accept your changes and improvise these as soon as I can. If you like reading these articles and it helped you in anyways, please pass on the knowledge to others and use below red like to show your appreciation. 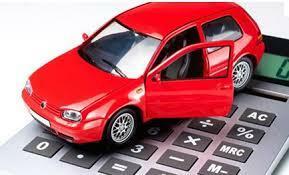 how to assign car buying budget? Top 5 best car brand types to buy in Dubai and UAEAlthough this area majorly depends on so many personal choices, but I will try to high grade the most important points to pick and choose the most appropriate and most successful 5 best car brand types for you next car. The basic attribute of the brand behavior is very closely related to the geographical location they come from. 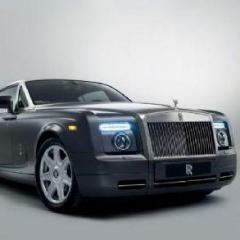 In UAE there are 5 major and best car brand types extremely famous and successful in delivering all sorts of Cars. Below is a quick run-down in very generic and not specific to any one brand from that region. Japanese Cars: Honda, Infiniti, Lexus, Mazda, Mitsubishi, Nissan, Toyota. They are generally famous for extremely reliable and durable cars. 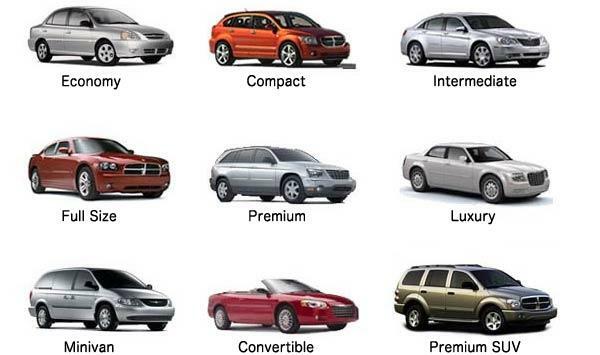 Offer reasonable comfort with very high usable life of cars.Resale value: 10 out of 10.Korean Cars: Hyundai and Kia. Recently they are famous for great designs and new technology at competitive pricing. Offer reasonable reliability and acceptable performance.Resale value: 9 out of 10.American Cars: Cadillac, Chevrolet, Ford, Dodge, Chrysler, Jeep. They are generally famous for larger than life, spacious and very competitively priced cars. Offer reasonable vehicle life with standard reliability and acceptable performance.Resale value: 8 out of 10.German Cars: Audi, BMW, Mercedes, Porsche, Volkswagen. They are generally famous for high end luxury and extreme performance cars. Offer amazing creature comforts, new technology but with limited usable life of car.Resale value: 7 out of 10.UK Cars: Land Rover, Jaguar, Mini. They are generally famous for impeccable detailing and comfort in style. Offer reasonable vehicle usable life with excellent performance but with low reliability.Resale value: 6 out of 10.Having said the above quick pointers, they do not apply exactly same to all brands from same region. For example Toyota and Nissan is few notches above Mazda and Mitsubishi, although all 4 are from Japan, means each brand is slightly different in their core values, commitment and quality. Secondly the resale value is just a quick indicator of an average comparison as per each brand if compared to the same car classification (Explained earlier here: 7 Car types that you should know before buying a car). Each vehicle depreciation is majorly depended as per their origin and then as per their classification. Disclaimer: I have written this and all linked articles to help my friends and family and other car enthusiast’s like you. This is purely based on my own experience. If you know anything more than this I am happy to edit these articles any time. Please leave me a comment and I will accept your changes and improvise these as soon as I can. If you like reading these articles and it helped you in anyways, please pass on the knowledge to others and use below red like to show your appreciation. how to buy perfect car brand? 3 Secrets to choose perfect car model in Dubai and UAEAge VS. Odometer Any car life and value is highly dependent on its age and how many kms or miles it has been driven. These two are the major component as everything in car ages with passage of time and other mechanical component wear down as per how much it is driven. On an average a car should have driven 20,000 kms a year as a benchmark value to decide its worthiness. Below example will help you understand that where the age will take precedence vs Kms. Car A: 3 years old car driven 60,000 kms for 85,000 AEDCar B: 2 years old car driven 90,000 kms for 85,000 AEDCar C: 5 years old car driven 60,000 kms for 65,000 AEDCar A is better than Car B. (Kms takes precedence) Car B is better than Car C. (Age takes precedence) Car C is better than Car A. (Kms takes precedence) Base VS Full Options While buying a car the price difference between Base and Full option is marginal and that difference becomes miniscule in used cars, especially in Asian and American cars. Hence most of the used car buyers always prefer the full option cars, which makes the Full option resale value better than Base option and also it sells faster due to more in demand. So if little money is not a constraint, always buy a full option car. Entry models VS Flagship models Every car manufacturer always cut so many corners in entry level cars in all classification, which tend to show its age faster than expected. Due to same they fetch even lower resale value as they require higher maintenance after few years of use. On the other hand all car companies take extra time, effort and research for putting together their premium flagship models as they carry special pride of their brand. Due to same they are highly reliable and fetch excellent resale value. If budget is a constraint then, stay away from entry models and go as close as possible to the flagship range. Disclaimer: I have written this and all linked articles to help my friends and family and other car enthusiast’s like you. This is purely based on my own experience. If you know anything more than this I am happy to edit these articles any time. Please leave me a comment and I will accept your changes and improvise these as soon as I can. If you like reading these articles and it helped you in anyways, please pass on the knowledge to others and use below red like to show your appreciation. how to buy the perfect car model? 5 Things to check in used car before buyingOnce you find out your next almost perfect car, then follow the below checks by yourself and you will be almost 75% sure that it’s clean and not lemon. To make it easy I have divided this in below 5 important areas: Exterior: Check the car in daylight always or in extremely well lit area.No major dents, broken bumper, headlights, tail lights, indicator, brake light, chipped paint.No glass is broken from windows and front & back, including rear view mirrors.Open the door and check the pillars for any welding or repairing spots. That perfectly curly welding spot which is fully covered in car paint is the original manufacturer welding (that’s fine). Look for some type of accidental damage from side impact (if any). Open the engine bay and look all around the bay for any repair or repaint from accidental damage.Pull windows rubber beading to checking the inside metal gauge is perfectly straight and smooth and not involved in side impact accident.Interior: Car interior should match the kms driven even if car has the full service history. For cars under 50,000 km you shouldn’t be seeing any broken knobs, faded buttons, worn out brake or accelerator rubber, loose and shaky gear lever.Car seats should not have too much play when you sit and shake little bit.Pull the seat belt out and see how smoothly it goes back, if it doesn’t or get stuck half way then either car is accidental or driven over 100,000 kms.Look on the driver door sill, to spot any fuel station service oil change stickers to contradict the full service history.Not all dashboard warning lights are serious, the one in yellow is an indication and orange is warning and red is the problem. Still all lights are having different meaning for different brands, so worth checking further with owner’s manual of what any existing light points to.Engine: It should start in single crank and have stable RPM after first few minutes of warm up. Any dancing rpm is a sign of engine is not in good health. Though it’s a not a big concern, but a concern you should know that it will require some tune-up or minor repair work for changing spark plugs, coils, HT leads etc. in very near future.In idle when you hit the gas, engine response should be instant without any lag unless it’s a turbo engine that has turbo kicking lag (not engine lag). Japanese and Korean cars generally have fraction of second lag, which is acceptable but German and American cars engine should have immediate response when you tap on the accelerator.ALWAYS drive a car on highway at 120 km/h for at least 5-10 minutes, and any hesitation of engine will show up quite noticeably at higher RPM.NO check engine light on dashboard is acceptable. Period.Transmission and Drive train: In auto gearbox, ideally a gearshift should not be noticeable and best to pay attention is from 1st – 2nd gear shift and see how smoothly it shift, as in any ageing gearbox that is the first starting point to show little to moderate jerk while shifting. 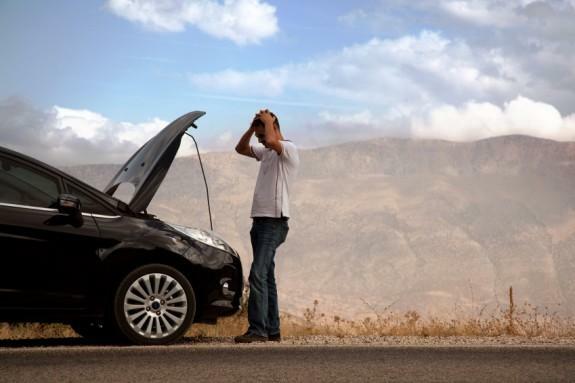 Minor jerk could be because of stale oil and filter that is manageable but worth getting it checked further with proper technician. It may be a major expense, so it’s worth a second look when in doubt.In manual gearbox, firmer the gear lever shifts better it is. Loose or soft shifting gear lever needs further inspection. Try to shift gears manually as fast as you can and see how engine, clutch and gear respond to your fast movement: If you see any hesitation or delay in engine response in fast shifting need to be further diagnosed.On extremely slow speed (in quiet area) and while going for highway drive, pay attention to any rubbing, grinding, and metal shaking noise. It usually show when drive train has some issue from drive shaft or loose couplings often result in highway vibrations or low speed rattling.While driving if car pulls to any side it’s a concern and often it needs a wheel alignment (100-300 dhs) but in some cases it may be an axle damaged with minute fracture by hitting the pavement at high speed or off road damage in case of 4x4 or SUV’s.Chassis: Try to look under the car and see any noticeable damage to the chassis, you can spot the recent damage by seeing the color difference on repair area than the rest of it. For older chassis damage you need to consult the proper technician who can check the chassis.Though this is not very big concern for check it yourself, as RTA approved testing center will check this in detail before passing the car for registration. Disclaimer: I have written this and all linked articles to help my friends and family and other car enthusiast’s like you. This is purely based on my own experience. If you know anything more than this I am happy to edit these articles any time. Please leave me a comment and I will accept your changes and improvise these as soon as I can. If you like reading these articles and it helped you in anyways, please pass on the knowledge to others and use below red like to show your appreciation. how to test used cars before buying? 4 Most important factors impacting used car priceUsually a price of any commodity or vehicle is defined by its supply and demand. Same should apply to Cars as well but only to some extent and not all. Example: In hot summer more people want to sell their two door convertible, so in that season when market is flooded with 2-door convertible then it will definitely fetch a little lower price. Though this impact is negligible but it’s noticeable. This point alone can help you majorly in finding if your perfect car can actually fit in your car buying budget after seeing it’s real worthy price and not the inflated price. The car prices that you see in online classifieds website is not quite right as every seller price there vehicle depending on the urgency they are in to sell it. Some sell it at undervalue and some sell it at right value or over value if they decide to wait for few days or a week. 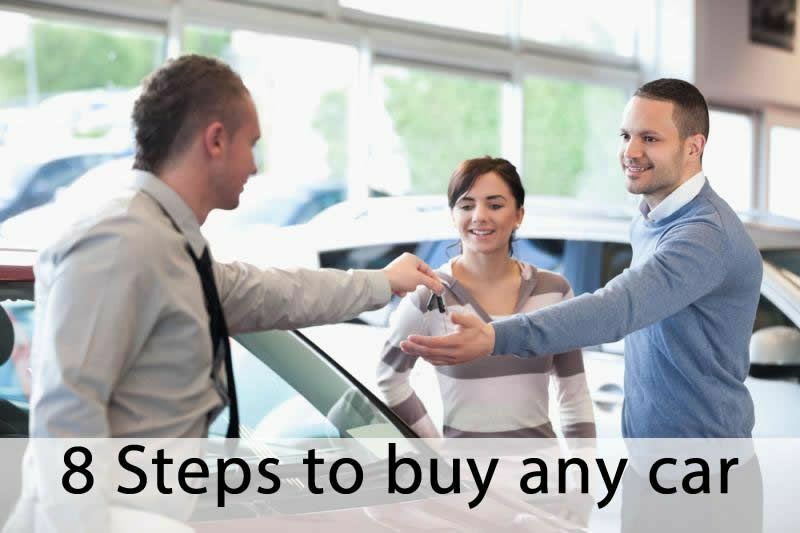 For finding a perfect car buying price, you need to understand that it depends on four major factors combine together to create a perfect resale value: Age, Mileage, Options and Condition. Age: Every car depreciate majorly as per their age factor roughly as per below table. This further gets complicate based on the car manufacturer region means European and UK Cars will depreciate the most, and then comes the American and Korean brands and then least depreciation will show up in Japanese cars. Luxury Cars: 20% depreciation for the first year and then 15% depreciation every year.Sports Cars: 20% depreciation for the first year and then 15% depreciation every year.SUV and Cross over: depreciation for the 15% first year and then 12% depreciation every year.Family Sedans: 15% depreciation for the first year and then 10% depreciation every year.Compact Cars: 15% depreciation for the first year and then 12% depreciation every year.Below example will show how to apply the depreciation on year by year rate: 2009 Model luxury car whose price was 100,000 now values at 35,496 in 2016. 2010: 20% of 100,000 = 20,000 valued at 80,0002011: 15% of 80,000 = 12,000 valued at 68,0002012: 15% of 68,000 = 10,200 valued at 57,8002013: 15% of 57,800 = 8,670 valued at 49,1302014: 15% of 49,130 = 7,370 valued at 41,7602015: 15% of 41,760 = 6,264 valued at 35,496Mileage: After the age, mileage is the second biggest contributor to the value of the car. On an average industry consider 18,000 – 20,000 kms driving in a year. So you need to check the math with number of year old and see if it falls in the industry bracket. Although there is no set rule that how much is too much, but you can factor some plus or minus on final value based on the current mileage of the car. Let’s take above example 2009 car and in 2016 it should be in range of 108,000 – 120,000 Kms. So if actual car has 200,000 kms driven means its 80,000 kms over driven, so for every 10,000 kms you can minus (if it’s more driven) or add (if it’s less driven) 2-3% on the above depreciated final value. Example: 35,496 x 2% = 710 x 8 = 5,680 (less) OR 35,496 x 2% = 1,065 x 8 = 8,520 (less) Means: 35,496 – 5,680 = 29,816 OR 35,496 – 8,520 = 26,976 for a 200,000 kms driven car. Options: Actually this point should not even exist here, if you get the right model and right option price to start the math at first. However, many times you don’t really able to get the Full options, Mid Options and Base option pricing after 3-4 years of age. So as a best practice find out the current difference in percentage of the same model and apply to the final depreciated value. Reason for this exercise is as Japanese and Korean Cars have very minimal percentage difference (5-10%) between full options to the base models, whereas Germans, European and American cars has huge difference close to 20-30% from the base models. Condition: Last but not least, can heavily dictate the final pricing as Car has a lot to do with the proper maintenance and if previous user was not maintaining it according to the maintenance schedule then the next buyer will suffer heavily. This condition implies to the general exterior and interior condition and plus service maintenance condition. Remember the above math was for an average wear and tear car as per its age. So if you come across super clean car with full dealer service history feel free to bump up 5-7% on the final depreciated value as after all you need to thank such good car owners and vice-versa in the negative condition. Disclaimer: I have written this and all linked articles to help my friends and family and other car enthusiast’s like you. This is purely based on my own experience. If you know anything more than this I am happy to edit these articles any time. Please leave me a comment and I will accept your changes and improvise these as soon as I can. If you like reading these articles and it helped you in anyways, please pass on the knowledge to others and use below red like to show your appreciation. how to price used cars?